Have you ever dreamed of learning to fly? Soaring over the cities, national parks, and Lake Victoria with nothing but the open sky ahead of you? I know I have. Usually while sitting in Kampala’s infamous traffic jams, but the desire to fly is innate in many of us. 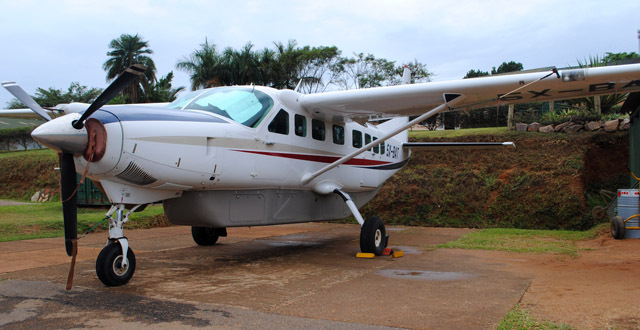 Well luckily for you, you can receive your Private Pilots License (PPL) while here in Uganda! Just a few kilometers outside of the city you’ll find the Kajjansi Airstrip. Here the Kajjansi Flying School awaits you with Cessna 172 aircrafts, perfect for the student pilot. 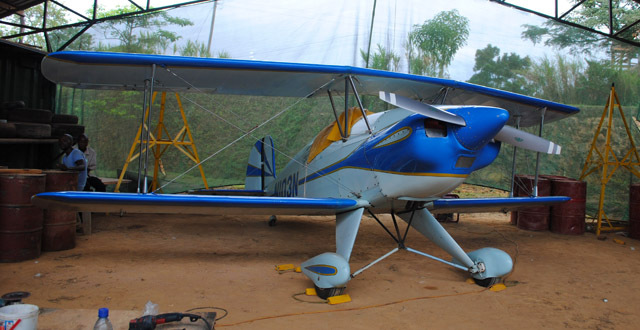 The Kajjansi Flying School is part of the Kampala Aeroclub, which has operated around the area for 16 years. They specialize in charter flights for both tourists and companies, with options to fly to all the national parks here, as well as the surrounding countries (although fees tend to spike when crossing international borders). If you’d like to take your loved one out on a tour of Lake Victoria, they can do that. If you’d like to be dropped at a small town in the DRC, they can do that too. And if you want to learn how to pilot an aircraft, they will show you how. We spoke with Guillermo Garcia Junco, one of the main flight instructors, who showed us around the airstrip and let us peek into the mechanics hanger and survey the airplanes (including one helicopter). As expected for someone who takes newbies into the sky and then hands them the controls, he is calm, precise, and loves to talk airplanes. He explained that here in Uganda, you can apply for a Student Pilot License which usually takes about 8 weeks to receive, as they do an incredibly through aviation security clearance. However, once you get your SPL you can get into the aircraft on your first lesson. Here one of the flight instructors will give you a mix of theory and practical instruction that is tailored to the individual. Although it is always assumed your base knowledge of flying starts at zero, progress depends on the individual. If your ultimate goal would be to receive your Private Pilot License, you should know that Uganda is a ICAO (International Civil Aviation Organization) recognized country. This means that your License can be validated in any ICAO country (which includes Europe, the US, and a number of African countries). You will need a minimum of 40 hours flying time and once you’ve completed the training, it’s simply a matter of taking a test by an approved pilot examiner (which they have on staff at the Aeroclub). However, if your goal is to just learn the basics of flight, that’s absolutely fine as well. A pilot friend of mine once told me (as he watched my knuckles turn white during a take off) that the best way to overcome a fear of flying is to get in the pilots seat. To see how an aircraft actually handles and feels in the air will show you just how stable the air can be. So for some, you may want to consider this a form of therapy. An annual club membership at the Kampala Aeroclub is 250 USD/year. Such a membership will lower the costs of flight lessons, and is worth looking into for those attempting a PPL. However, if you’d rather just get up in the sky a few times, the cost will be about 250 USD/hour (a standard international rate). This includes both navigation and airport fees, as well as pays the instructor who, lets be honest here, deserves a lot more than that for getting in an airplane with someone like me. The Aeroclub is about 15 kilometers outside of Kampala. You’ll see a small sign for the airstrip on the left a little ways past Lubowa. Take the next left, and follow the dirt road. Eventually you’ll see signs for the Aeroclub at Gate 1. So go ahead, give into that little dream you always had about sitting in the cockpit and taking the controls. It all starts with applying for your Student License, which is fairly cheap (around 40,000 UGX). After that it’s just you, the instructor, the airplane, and the air beneath you. I have been away for close to 3 years. Would like to come back renew my original licence to fly and we continue from where I ended.